Alicante holidays take you to a bustling port on the Costa Blanca that has attracted many British visitors. 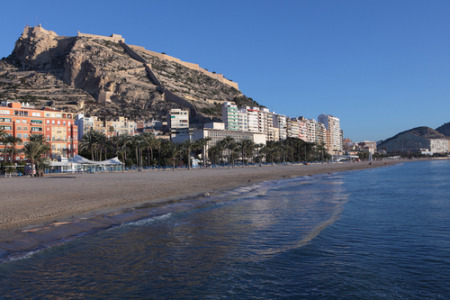 Holidays to Alicante can be taken from April to October with temperatures rising from mid twenties to the low thirties at the height of the season. This vibrant city is dominated by an ancient castle which can be accessed via a cable car. The panoramic views from the top are spectacular. Holidays in Alicante attract visitors of every age as there is so much to see and do.